Airports are the economic lifeblood to many cities across the country. As cities grow, so do their airports which make them dynamic, constantly changing and expanding environments. Airport project time lines are tight and room for error is non-existent. HGA has worked on several airport expansions and has met every project on time and within budget. The project included a 3 level, 130,000 sq-ft expansion to the existing Concourse B facility. 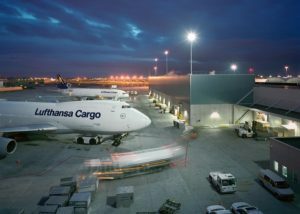 Components included the design and detailing for removal and replacement of the 9” and 16” thick reinforced portland cement concrete pavement in the tarmac area to accommodate airline tug and aircraft service vehicles passing underneath the existing Concourse B Terminal Building. In addition to the new pavement systems, new raised concrete median islands and pavement markings were detailed to channel vehicle traffic under the terminal. Also included in the scope were a 8” water main relocation & site fire protection system design and coordination with the City of Atlanta Airport Authority for the removal and/or relocation of the fuel hydrant pits and supply lines affected by the proposed terminal improvements. It should be noted that the construction/installation of the proposed improvements had to be done during active airside activities and aircraft maneuvering operations. HGA provided the engineering services for the addition of 2 new, 600 s.f. 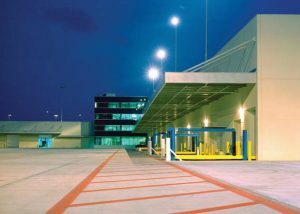 valet booth structures to the existing concrete parking decks for both the North and South Terminal facilities. Additional components included new raised concrete median islands and pavement markings to separate and channel public and commercial passenger vehicles to the appropriate areas of the parking deck. New striped pedestrian walkways and handicap ramps were also added to the parking decks to provide safe access from the valet waiting area to the terminal buildings.